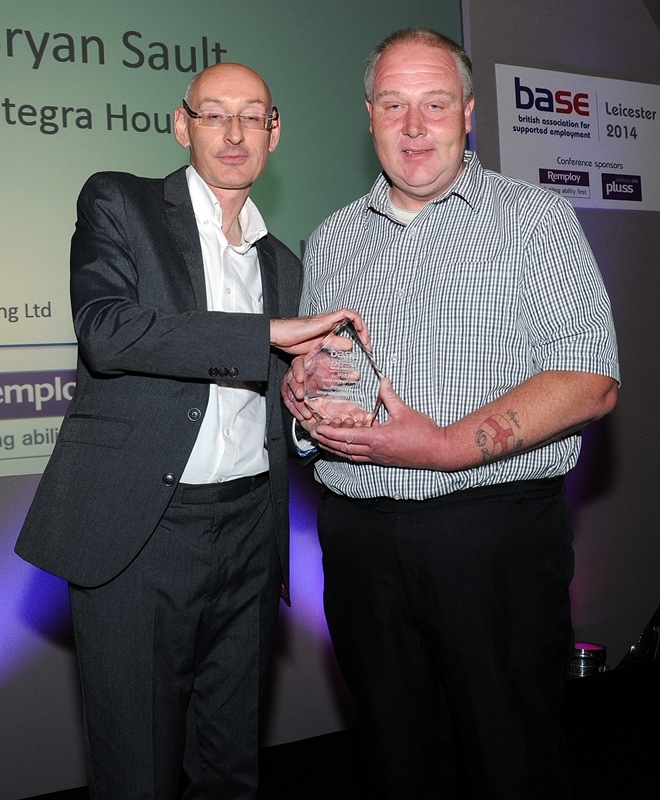 The BASE Practice Awards recognise and celebrate outstanding practice in the field of supported employment in the UK. Their focus is on promoting the remarkable work that goes on across the country to help people with disabilities achieve their work aspirations and retain paid employment. The awards were presented at our conference at the Leicester Mercure on 10 September. We are grateful to Working Links, Shaw Trust and Vi-Spring for their kind support in sponsoring these awards. 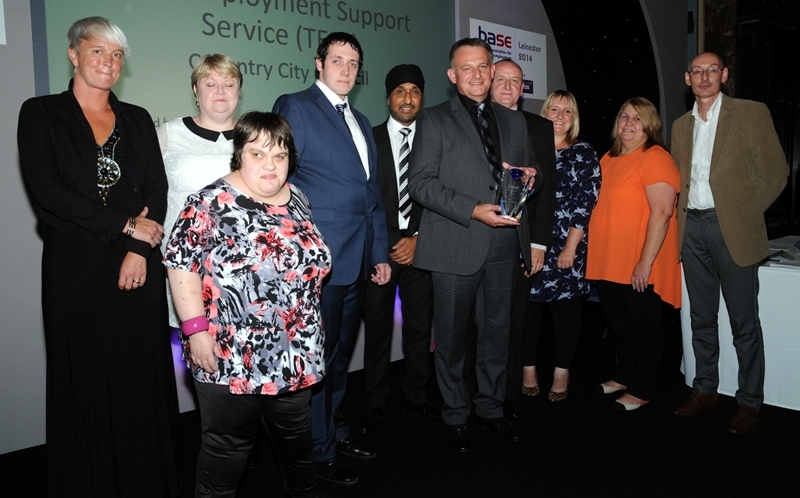 This year's winners are The Employment Support Service (TESS) of Coventry City Council. The award was presented to TESS manager, Dean Atkinson, by BASE Chair, Paul Wilson. 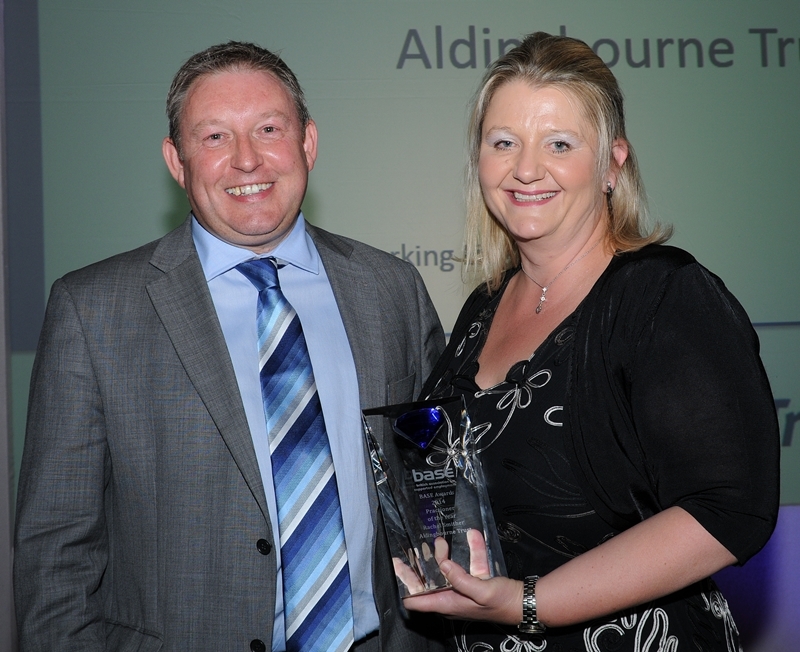 Congratulations to Rachel Smither of Aldingbourne Trust for winning this year's Practitioner Award. It was presented by Working Link's Head of Skills and Employability, David Hawley. The Innovation Award was won this year by Elite Supported Employment Agency. 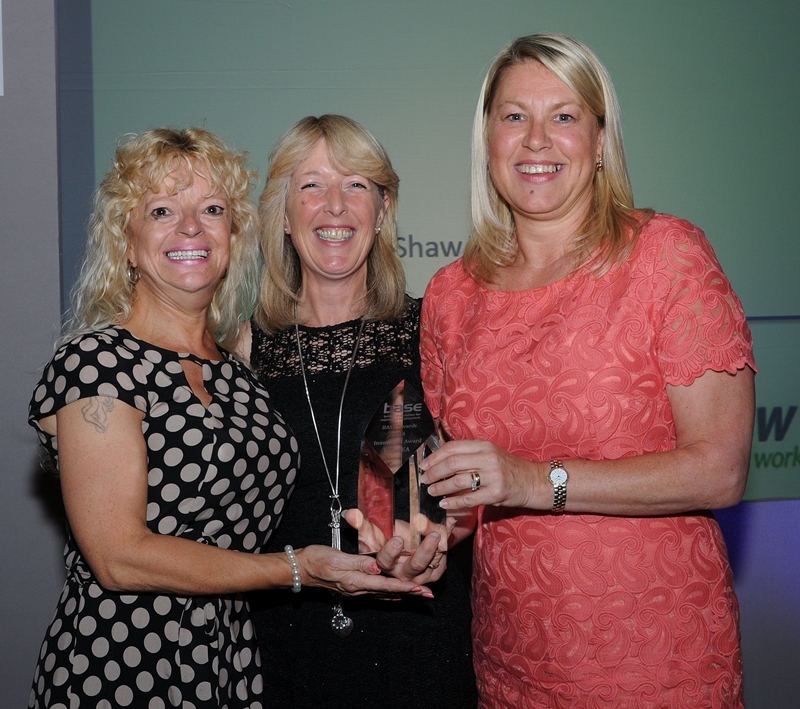 Mel Walls of Shaw Trust presented the award to Elite's CEO, Andrea Wayman (right), and Assistant CEO, Kathy Rivett (left). 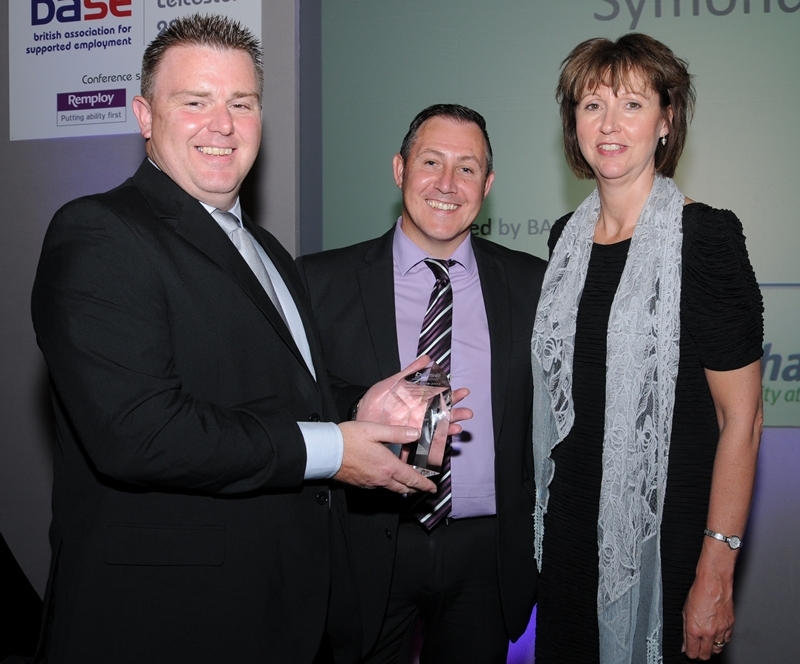 Symonds UK won the employer award for their strong commitment and partnership working. BASE Vice-Chair, Jane Collinson presented the award to Symonds Operations Managers, Keith Fox (left) and Gary Smith (centre). This year's David Grainger Award was presented to Bryan Sault of Integra Supported Housing by BASE Chair, Paul Wilson.